1.10 any time soon? 1.7.10 is outdated now. when you can finally use the ring platforms? Hey, just wondering, will ZPMs be able to interface with energy systems in a future update? As in, will we ever be able to use ZPMs to power our machine systems from IC2/TE/Mekanism/whateverelse? This was originally a FORK of SGCraft, which is allowed in Greg's license. We've since rewritten HUGE amounts of code, and are in the process of a complete rewrite. 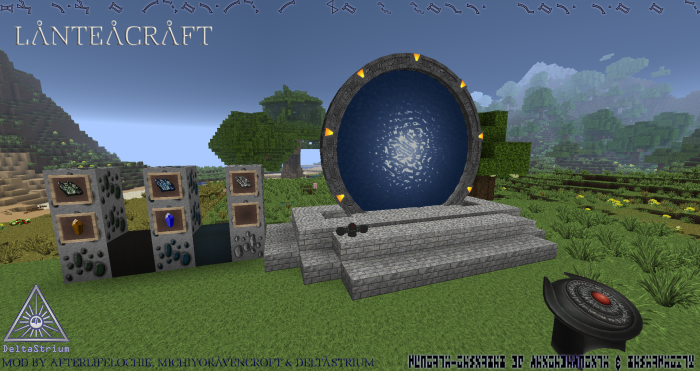 VERY little of the original mod exists today, the closest is the Stargate look, which even THAT is different between the 2 mods, from the textures, to the SIZE, to the layout of the gate even. We had a 3d modeled DHD AGES before one was added to SGCraft, before that is brought up. We also added 3rd party power support first, we even fixed issues with MCPC+/Caludron first.